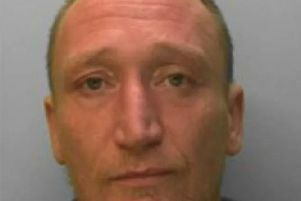 Three properties in Worthing have been targeted by police as part of a nationwide crackdown on illegal drugs networks. According to Adur and Worthing Police, the C Section Prevention team 'deterred county lines away from three addresses within Worthing' last night. County lines refers to when criminal gangs from big cities set up drug dealing networks in smaller towns to make more money. They will often use children as drug dealers and exploit vulnerable people, using their home as a base for their operations - referred to by police as 'cuckooing'. The officers put posters on the doors of the properties. It said: "We have had an increase in reports of anti-social behaviour and drug dealing in this area. "Therefore, Sussex Police will be increasing patrols in and around these premises. "We are committed to catching criminals and making your area a safer place to live, and the information we receive from you and your neighbours plays a huge part in enabling us to do that. "If you can provide any information about criminals who live in your area, please call Sussex Police on 101. "You can also report crime anonymously to Crimestoppers on freephone 0800 555 111 or online at crimestoppers-uk.org. "For more information about the work of Sussex Police and useful advice on crime prevention, please see our website sussex-police.uk"
Last night's police activity was part of Operation Fortress, a nationwide crackdown on county lines networks and the link to vulnerable people. Adur and Worthing Police have been approached to find out the location of the properties within Worthing.